Bottle tech filter style, of course. Only hand pre-pressed to fit into the plates. Very tough call on which is the most tasty. I picked 3 winners this time around and I'm really impressed with the crazy flower and fruit tastes. Nothing matches good clean rosin. update after doing the rest. I think the kids say "fire" these days. I dunno, it's more like a soap explosion to me, lol. Insane taste right here. in about a month I can take people up on such an offer :) And thanks! ah yes, will do that for sure thanks! I did two additional presses of the “puck” with significant but decreasing yields. This is the first. 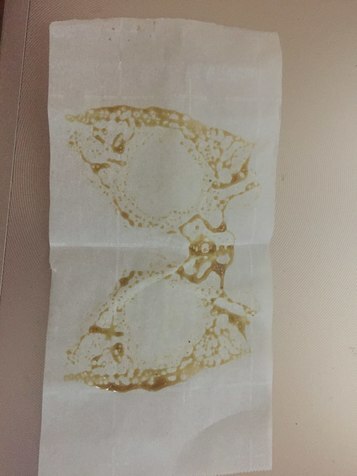 I like my rosin a nice golden color(very flavorful). Darker color rosin tastes burnt and tar like. 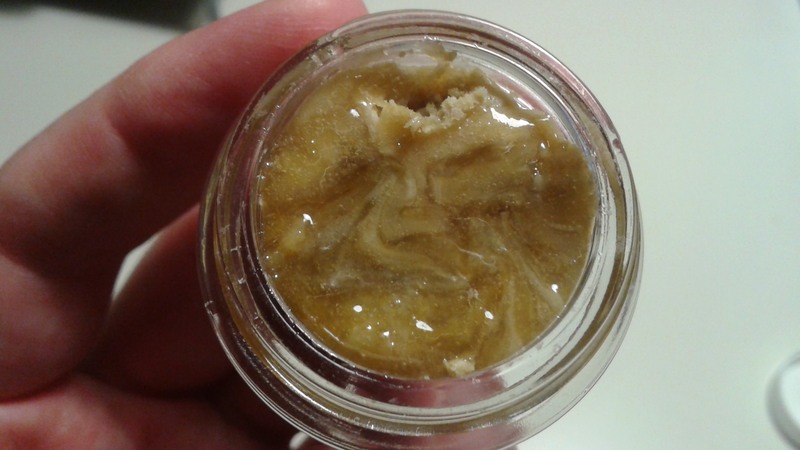 Even from large growers they are just starting to catch up on rosin making. Lower temps and longer presses seem to work best for this. If you are watching your press it's good to have a timer and watch the color of what is being pressed out. Think of it like you are cooking pizza in the oven, you dont want to remove it too early as will be leaving product behind or going too long and its burnt. 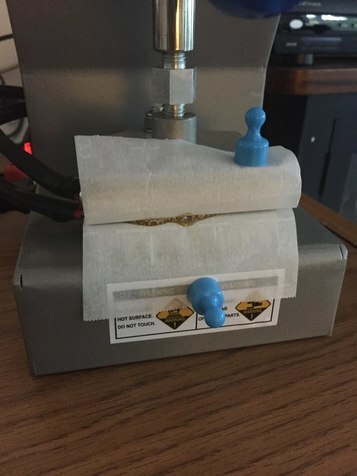 I'm seriously considering getting a Rosin Press. But I thought 15% was the average? 20% sounds reasonable but 30% seems Ideal! How much are you getting out of your re-presses? Cause Bud just throw his away after the 1st press. What strain did you press? And is this in a legal state and tested?? If so, THC % = ? I have not gotten as good of returns as you but I'm convinced its the starting material. I would agree that your plates are hot. If you dont have one a thermal gun is a inexpensive way to check your plates. I picked one up at harbor freight for under $30 also using a 150 micron bag may help. A 90 micron bag will yield better quality but give you less product. On my press I'm pressing in "Rounds"
I combine Rounds 2 & 3 but keep round 1 for its primo taste and transparency. I'm still experimenting but I'm theoretically at least convinced the "rules" for small presses are different than large and/or expensive presses. The "recovery" time on temperature varies significantly I suspect? My plates are 2x3. Ok so here's the secret guys. Don't spread this around, it's cause I like you. Start by just bringing the plates down to slight pressure holding the puck in place and wait 30 seconds. Then add pressure until you feel it push back on you, don't force it. Wait 30 seconds. Now pressure again until you feel it push back, stop. Wait 30 seconds. Repeat this until you are at max pressure, then hold it for 30 seconds to 1 min. Then for the last 10 seconds slam it down. This prevents blowouts, allows you to press 6 grams with only 2T pressure, and get the best color wax you'll ever see. As I show above. I'm a big fan of low temp pressing. The rosin at that temp is excellent, very flavorful and the effects are better imo. The downside is yield, personally I'd give it up but others only want the higher yield. The pics you posted are of an excellent color. Do you filter through a bag? are you pressing the same nugget three times? Yes. Sometimes four times, depending on whether it seems likely to be worth it. So if I press an 1/8 I'll divide it up into say 4 pressings. Then I put all the "1st Rounds" together into one storage batch. 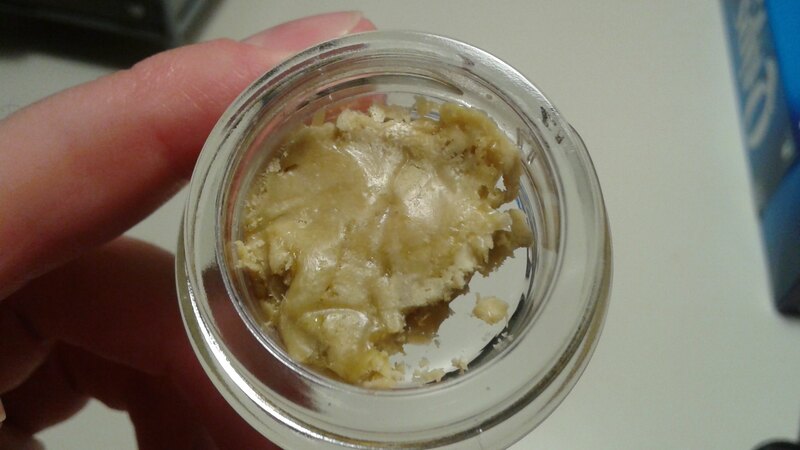 This gives me a large portion of what I really like -- light great-tasting rosin not overly heated or pressed. There is no burnt taste nor memories of plant material. So I do it "marginally", increasing the heat and pressure until all that's left is statistically insignificant waste given my tastes. And yield will not be that affected, and getting green wax is not what I'm looking for. I do however press often at 195 to split the difference and get back 1-3% I may have lost at 180.
dark rosin can also be cure/grow/cultivar. I pressed romulan the same way I pressed these other 2 and the color is very dark, not green, but dark. And the flavours are out of this world. So I should take back that color comment, it's not always a quality factor, sometimes it's a time factor of the flower curing time or just the cultivar. 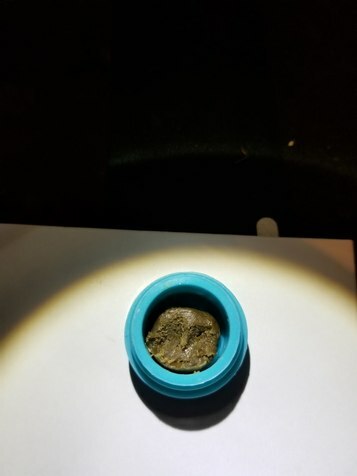 Just picked up some Sky High Gardens Dutch treat rosin last night. Yes, agreed. My press was $200. With this flower, it will out-perform a $10,000 press using "parsley". I don't know the strain for sure. It looks like a sort of "Where's My Bike?". It's clearly an indica. Don't have any specific analytical measurements, unfortunately. Regardless, I can tell from experience the buds themselves are "sappier" (relative to the 22% average group) and that can be the only non-random explanation.